The classroom is going beyond the traditional classroom. There are plenty of continuing education programs, after school tutoring and creative, unique outlets that offer courses in a learning environment of like minded individuals. Not to mention the virtual world. Over the last 10 years an entirely new extension of teaching has cropped up. There are a lot of entrepreneurs that have create courses to teach their own tried and true practices. Are you one any of the above? 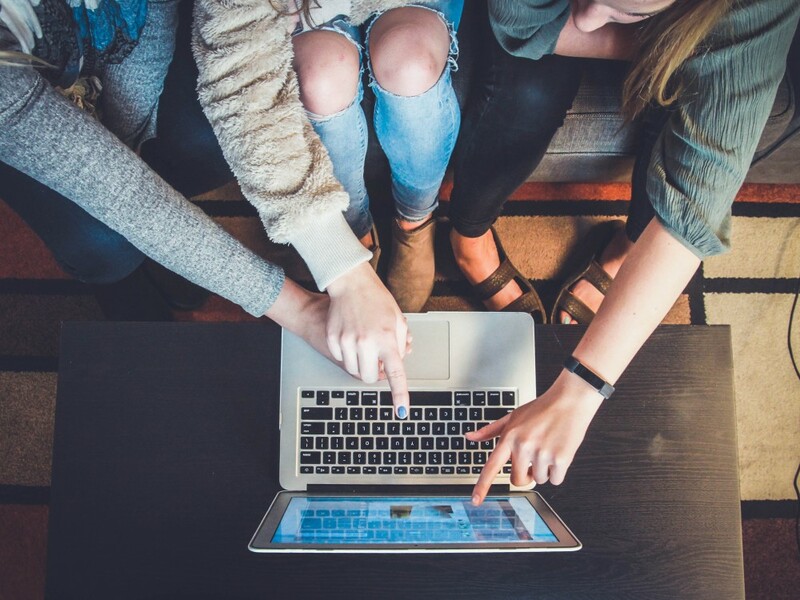 If you are looking at marketing your course curriculum there are a few things to keep in mind when choosing the right CMS platform. For starters, you probably want to look into WordPress. The #1 content management system on the market today (and growing rapidly year over year). When reviewing your website requirements a few elements you want to look for are course description & outline features, e-commerce integration and team profiles. A quality template will offer all these features and more. User experience is integral so working choosing the right layout and design is important. Templates that offer a drag and drop interface will make it easy to move elements around. Don’t forget to consider your embed features like flikrr and social media. Search and filter functionality is probably another piece you should consider. Students might not even know what they want and need a little help guiding them through the process. So how are you going to utilize the features and elements in the below themes? Once you have your site up we would love to see it so please come back and visit us with your finished product and add your website link in the comments. Our list this week features free education wordpress themes that are designed well. If you have any suggestions or if you find a broken link, kindly send us a message. 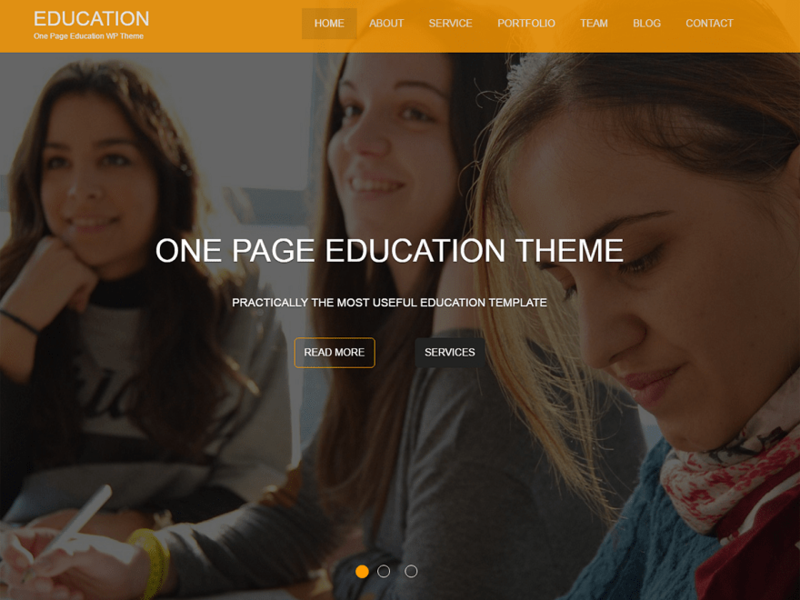 Education One Theme is a simple, clean, beautifully designed responsive WordPress Education One Page Theme. It is minimal but mostly used features will help you setup your website easily and quickly. Full width layout, featured slider,services/features layout, blog layout, social media integration, full width page layout and woocommerce ready. 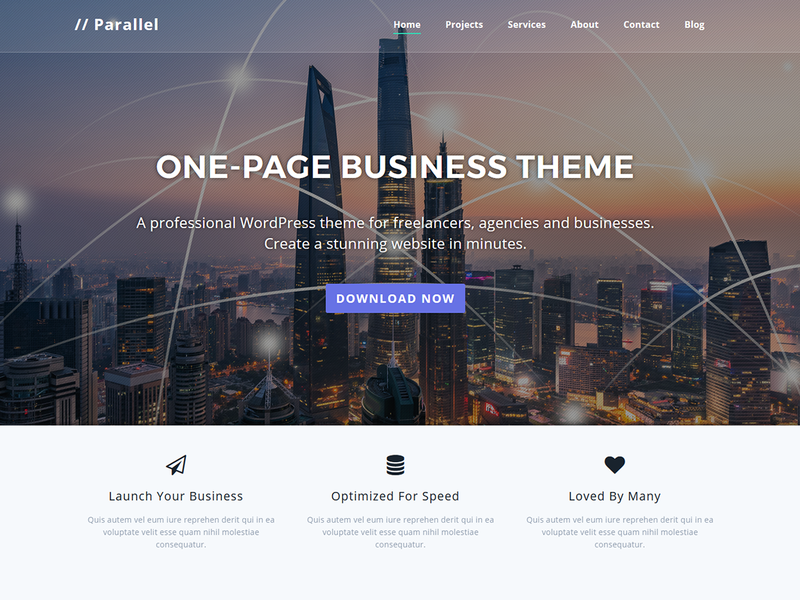 Fully responsive, cross-browser compatible, SEO friendly, education-one Theme is multi-purpose and is suitable for any type of business. Highest level of compatibility with mostly used WP plugins. Great customer support via online chat, email, support forum. 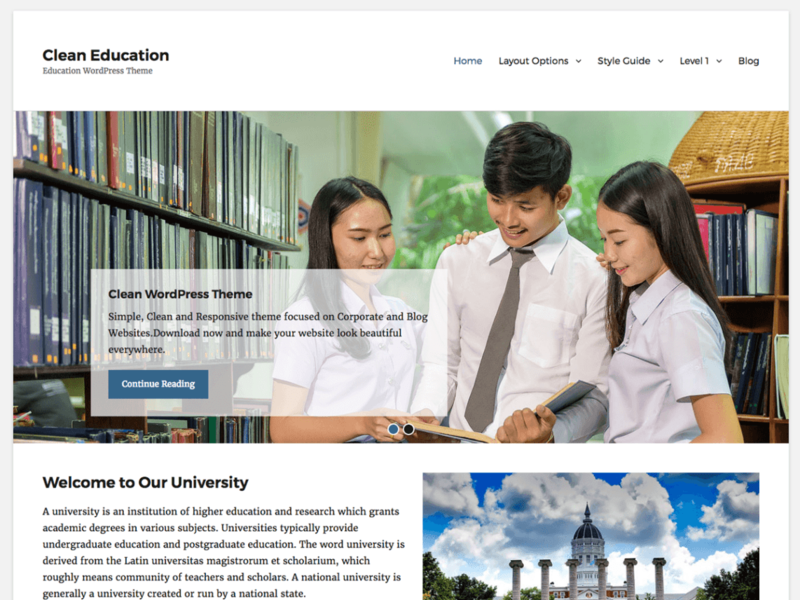 Clean Education, the free Education WordPress theme portrays your education website as simple, clean and user-friendly. In the first visit, it makes sure that your visitors are provided easy access to any area they like. The layout is responsive and your website looks good through any device. The Education WordPress theme has powerful theme customization options. With dedicated separate sections for courses, professors, recent news, events and testimonials, you can display your best features to your visitors. The comprehensive design makes sure your website gains healthy exposure. The features in Clean Education Theme enable you to display your most impressive content on the forefront of the website. Because first impressions always matter. Clean Education Theme gives you the perfect online niche that is dynamic, multifunctional and upfront. This theme is translation ready. 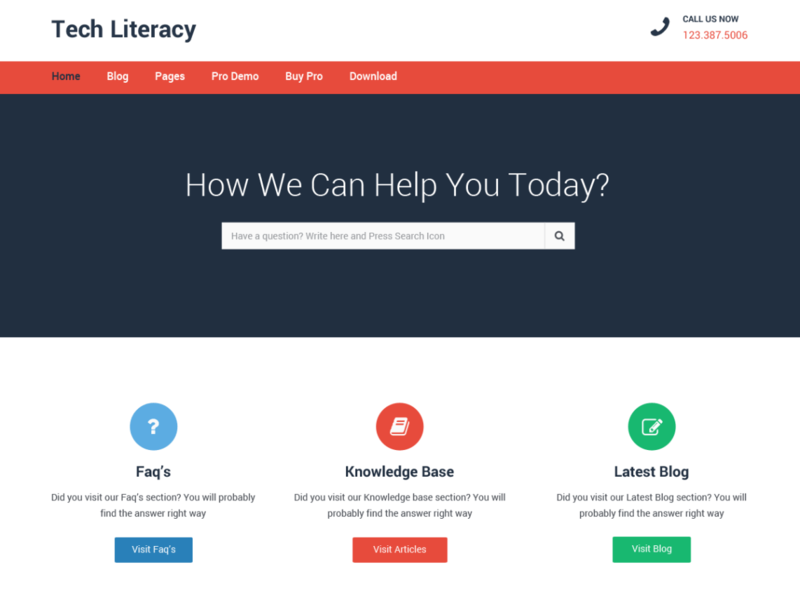 Tech Literacy is a free, clean, minimalistic, responsive, mobile-friendly WordPress theme. Tech Literacy suitable for education, literacy websites, online stores, personal portfolio, agencies, start-ups. However, due to its flexibility and easiness it can be used to create any types of sites. this Theme build in customizer it is very easy to use and user friendly. 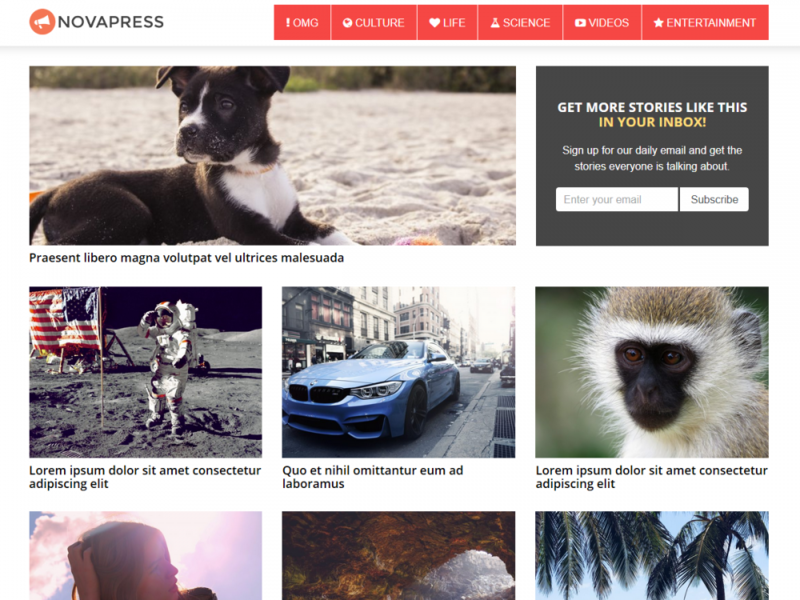 Theme includes lots of features like Drag & Drop page builder. 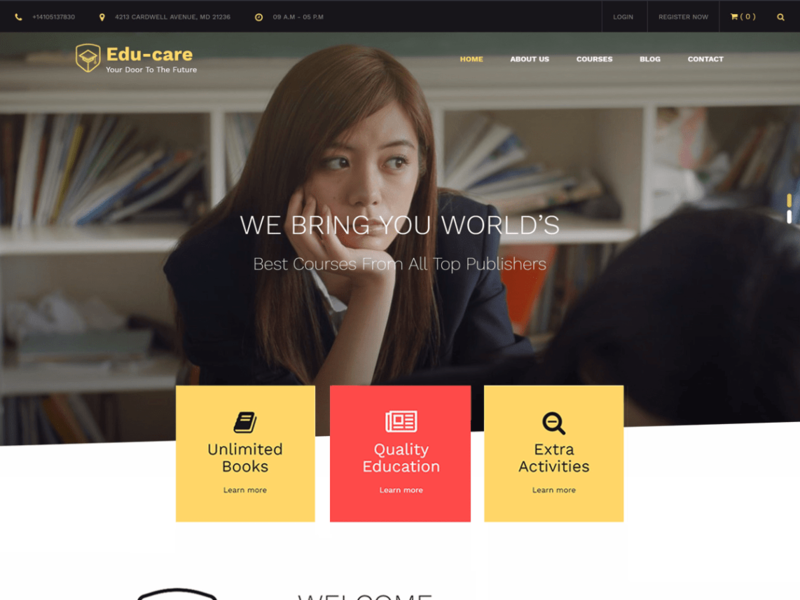 Edu Care is an attractive, modern, easy to use and responsive WordPress education theme with stunning design and flexibility. 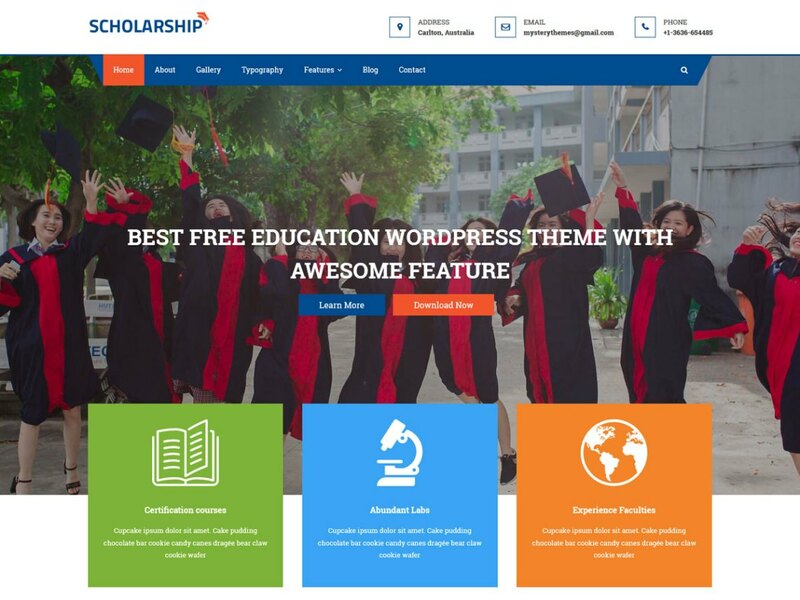 This theme is capable of tackling the overall needs of all educational institute websites including universities, colleges, schools and others. 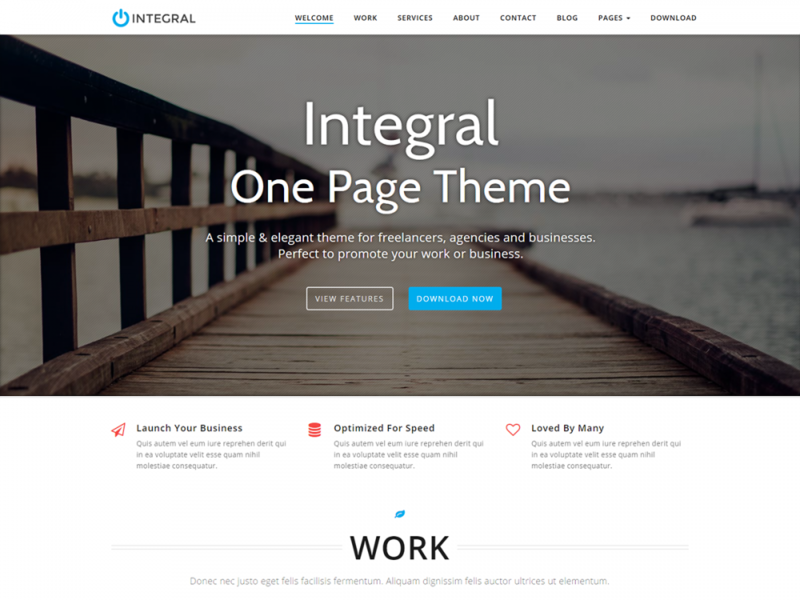 This theme is user-friendly and best suits the latest version of WordPress. 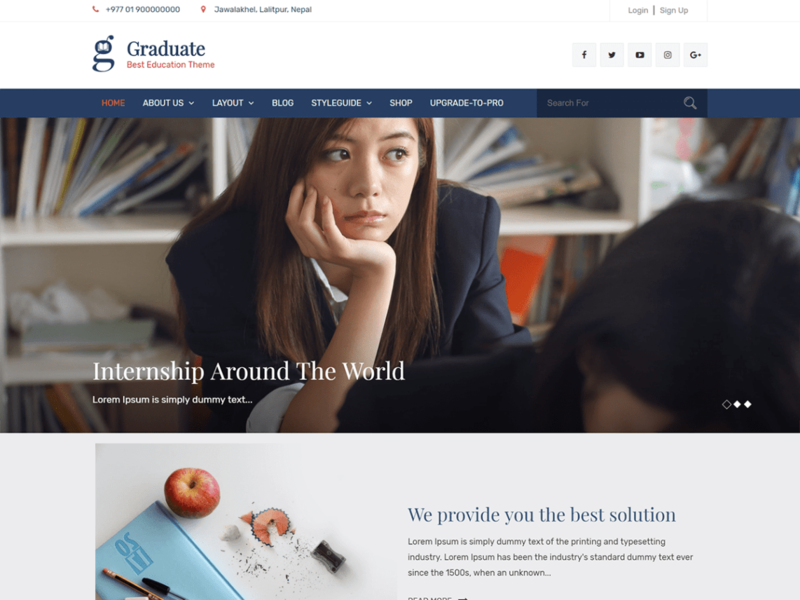 With the help of this theme, you can produce an informative, appealing and at the same time engaging education websites. Edu Care Theme is cross browser compatible performing well with any browser. Also, for non-coders it is very easy to use because of it’s secure and clean code. This translation ready theme has an ultimate design with best options that makes it beautiful and unique from others. 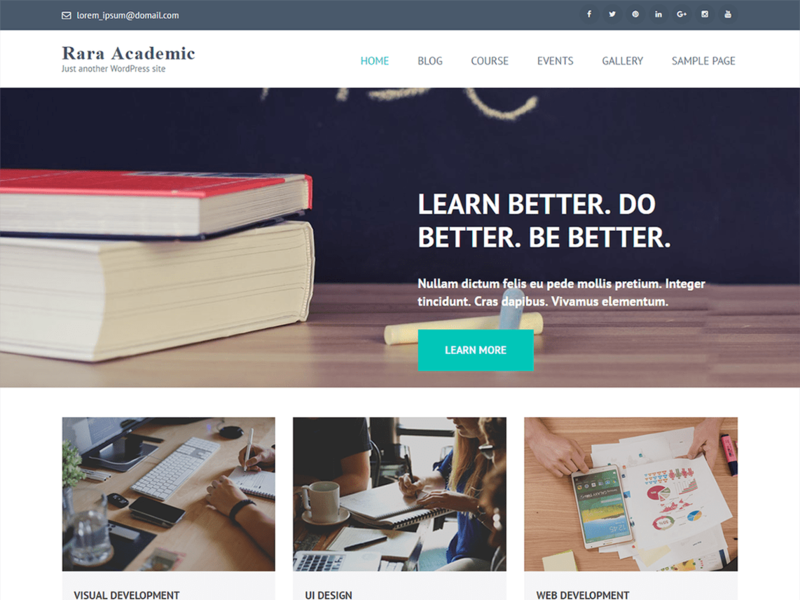 This theme will help you to create very high quality educational website easily with no time at all. 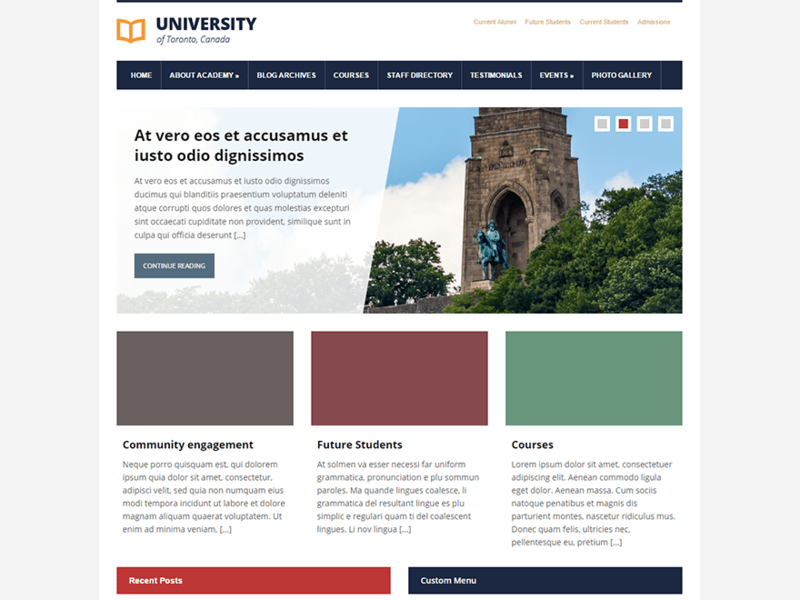 A clean, modern, engaging and responsive WordPress education theme ideal for educational institutions and agencies. Features including full width and boxed layout with slider, focused content, slick effects, posts/features/courses showcasing. It is loaded with theme options and provides several features to make user-friendly, interactive and visually stunning website with implementation of all features of latest WordPress like partial refresh and validation. It is compatible with top WordPress plugins such as JetPack and Contact Form 7. A special accent is made on its cross-browser compatibility, mobile friendly design and responsive features. 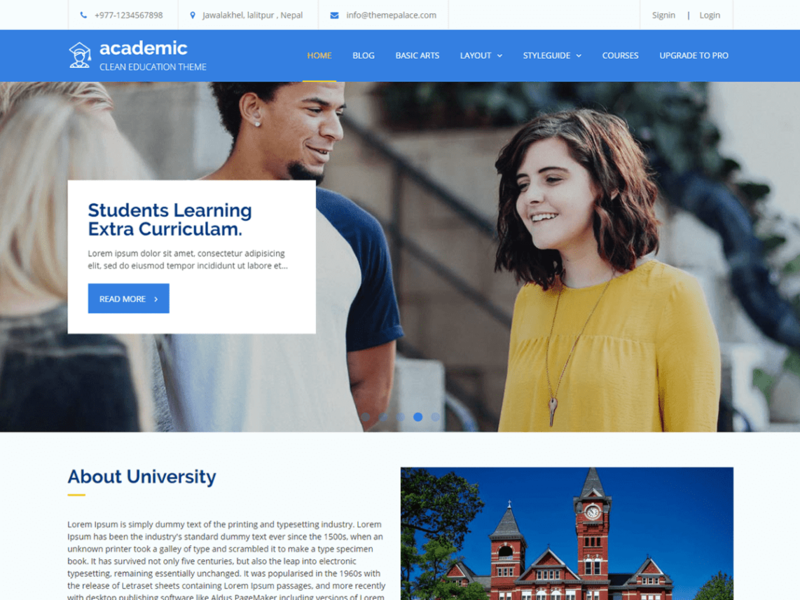 Lectura Lite is a simplified and free version of the Lectura WordPress Education Theme developed for schools, universities, kindergartens, organizations, companies, etc. 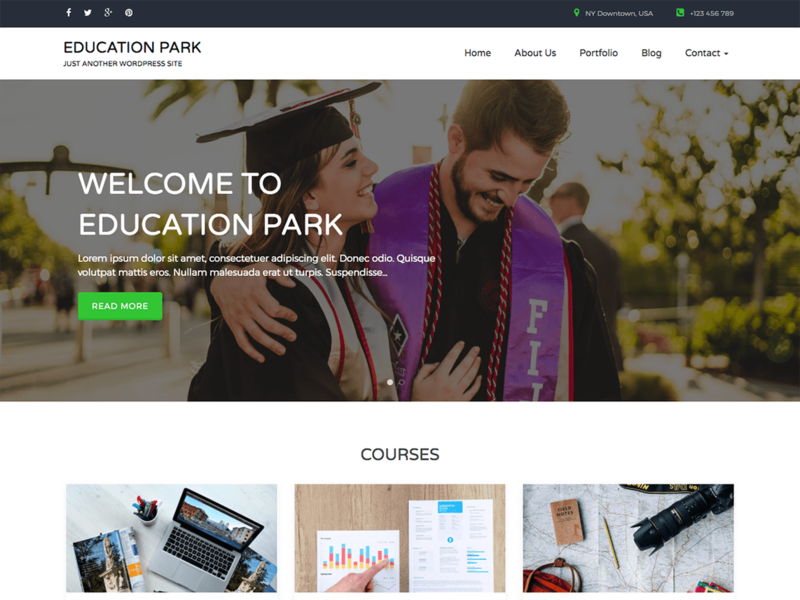 Education Park is an incredibly superfine Education WordPress theme. The theme is clean and absolutely user-friendly. One can use it for Education, Courses Hub, LMS, Training Center, Blogging etc. Education Park is Responsive and flexible based on BOOTSTRAP CSS framework that adapts your website to mobile devices and the desktop or any other viewing environment. Education Park is a Cross-Browser Compatible theme that works on all leading web browsers. It has 2 home page design layout, 3 page templates including default template. It has 4 widgets available (one sidebar, 3 footers widgets), and using the sidebar widget also enables you to make a two-column design. It includes features like Custom Menu, Social Media Options, customizable Call to Action Block(CTA), customizable Banner Slider, Multiple site and page layouts, Blog Layout, Logo color settings, footer settings, Custom CSS, translation ready, highly optimized for better performance.